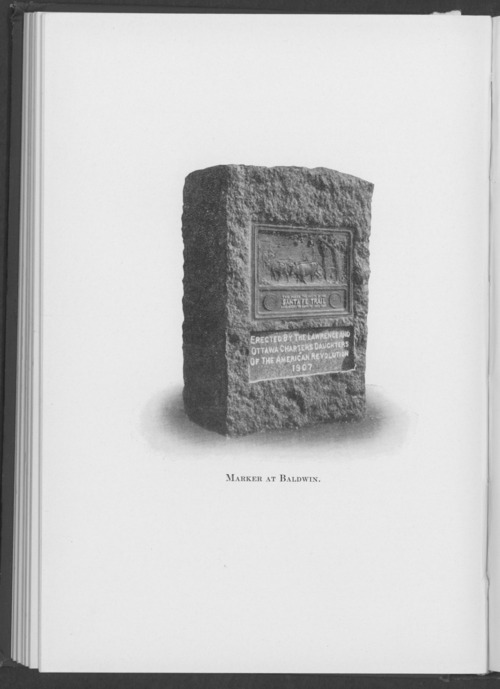 This photograph from the book, "Marking the Santa Fe Trail", shows the granite marker in Baldwin, Kansas. The stone was placed one- half mile north of the city of Baldwin. The Ottawa and Lawrence chapters of the Daughters of the American Revolution erected the monument to honor the pioneers and soldiers who lost their lives along the Santa Fe Trail.